Each year toward the end of summer, our Steering Committee commences its planning process for the upcoming fiscal year. We look back over our goals for the year, determine whether we have met them and identify our new goals for the upcoming fiscal year. With varying degrees of success, that has been our method for 20+ years. This year we took a different approach. 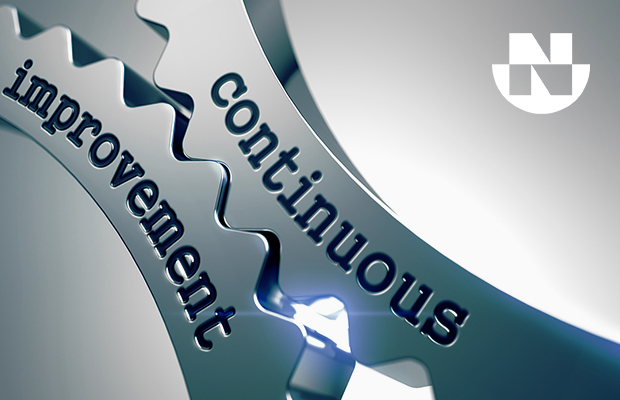 We have embarked on the journey of incremental continuous improvement. 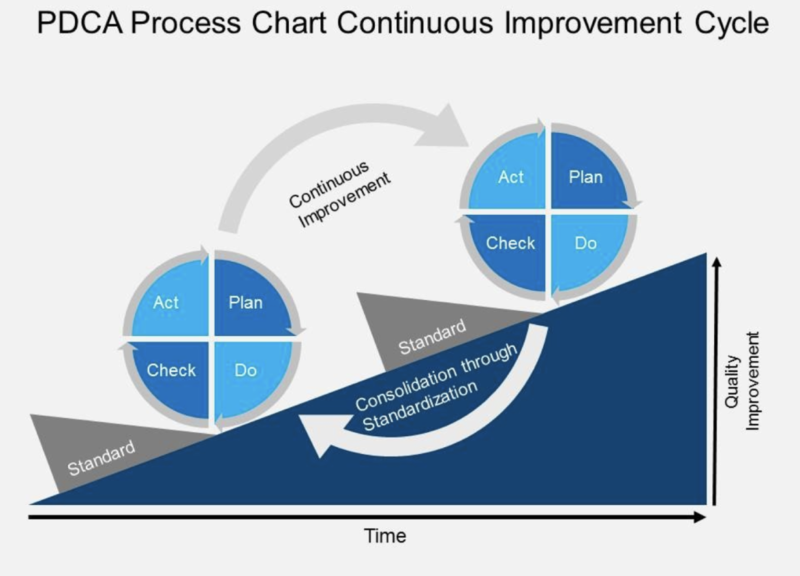 A very helpful article can be found on the website www.thebalance.com: Continuous Improvement in the Workplace. Within a quick few months, the results have been fantastic! Our team examined 5 areas in the business to focus our energy: Safety, Quality, Cost, Delivery and Morale. In each category, we determined what our customers would like to see in a cast nylon manufacturing partner. Next, we compared our current state to that standard. After that our team candidly and respectfully analyzed the difference between where we are (current state) and where we should be. With this analysis completed, we collectively developed completion plans, and breakout teams tasked with reducing that difference. For Safety, we asked for a voluntary audit from Washington State Labor and Industries. This is highly recommended. It is much better to deal with the safety consultants than the compliance officers. For Quality, we are categorizing our incidents and discuss them in weekly meetings. Just raising the awareness has gone a long way in preventing quality issues. In the category of cost, our casting technicians have reduced reactivity issues by 25% by working clean and following a newly established Total Productive Maintenance program. Our Delivery has improved to 7 business days for standard cast nylon stock shapes, and our late orders have reduced to a fourth of what they had been. A “Trainer Award Program” has been created to acknowledge experts on the shop floor who can train new hires as well as cross train teammates. Our team is focused, motivated and energized! We also kicked off wellness program and a third of our employees have signed up for a local obstacle race. All our old ways are being examined. Nothing is off the table. The commitment to continuous improvement has created a cohesive team and the collaboration is impressive. The discipline to the process is inspiring to watch. Our focus is, and will always be to bring increasingly better value to our customers. We are merely three months in and have a long, long way to go. But it is exciting to extrapolate our successes thus far to the end of our fiscal year. Our journey has just begun and it will have no end.